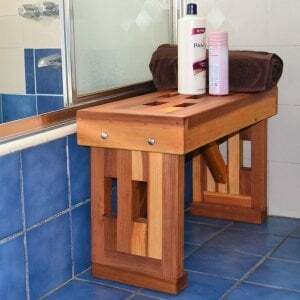 There is nothing quite like our Lighthouse Shower Bench when it comes to authentic redwood shower accessories. 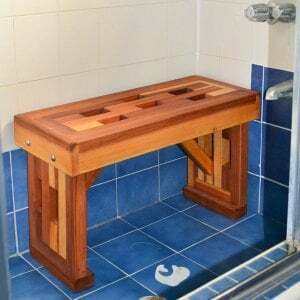 This bench is one of our biggest, and sturdiest shower benches, and is perfect for the spa, sauna, shower, or changing area. 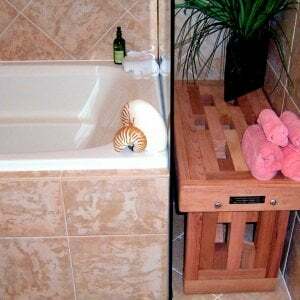 It’s naturally decay resistant, and is overbuilt with thick timber, to ensure years of use under practically any conditions. Customize it to your needs, and have us build it your way! 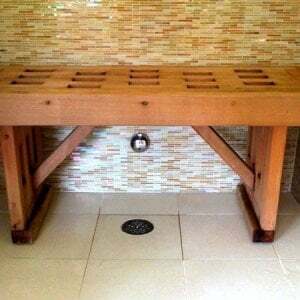 Made by hand here in California, the Lighthouse Shower Bench is specifically designed to take heavy pressure, as well as daily abuse from water and humidity. 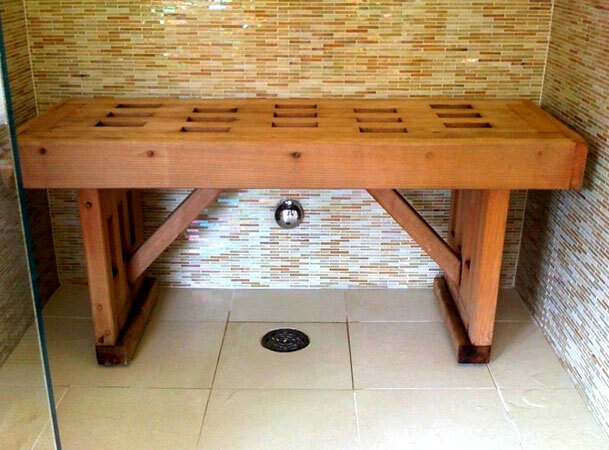 This bench is capable of holding up to 450 pounds, yet can be easily moved for storage and cleaning. 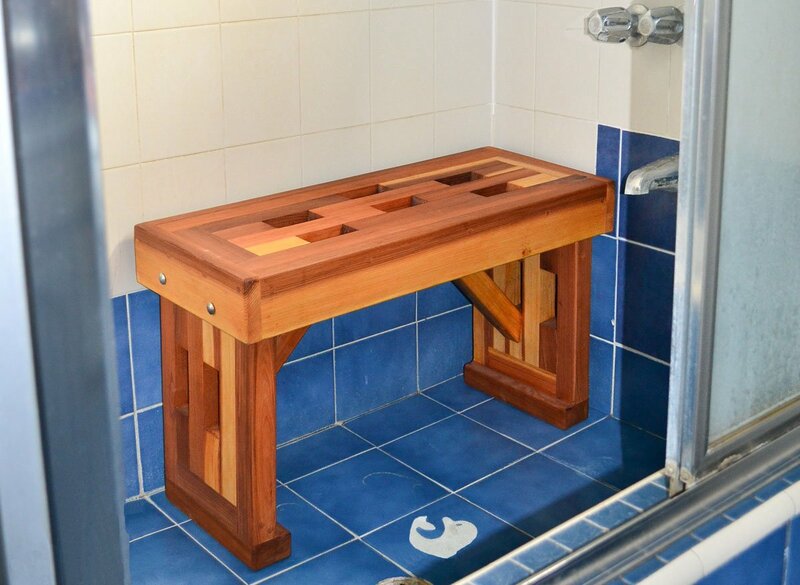 You can customize the length, height, and width of your Lighthouse Shower Bench before you order, and we’ll make it specifically the way you want it. 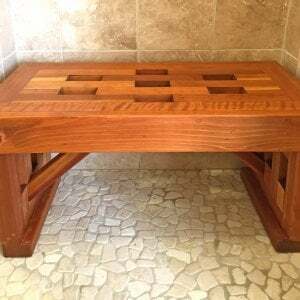 There are no cheap plastics or other synthetics in these benches, just the best California restoration forestry timber, and solid steel bolts. 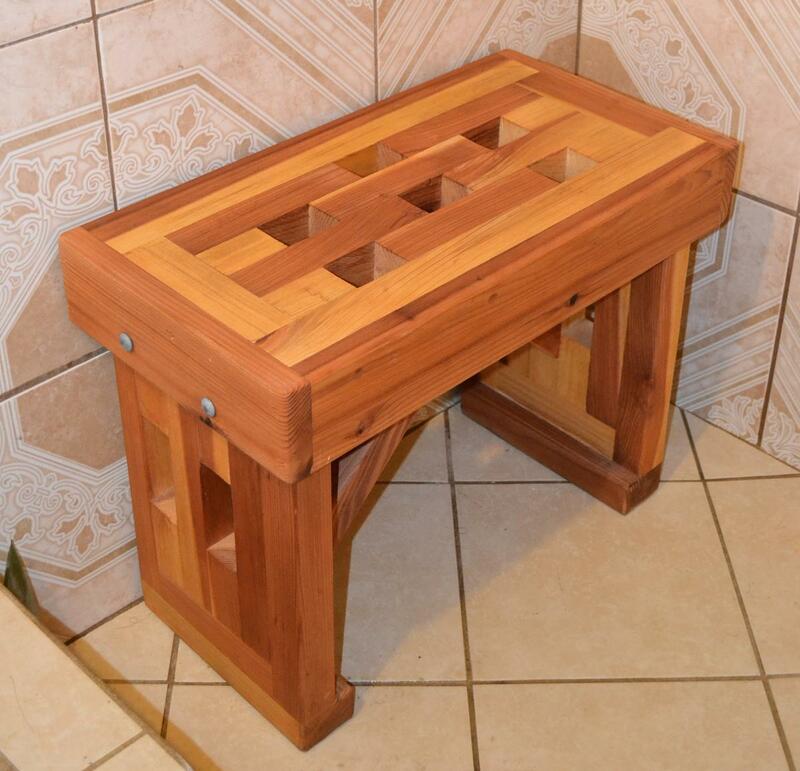 Design: A finely finished bench designed to stay beautiful for years to come. 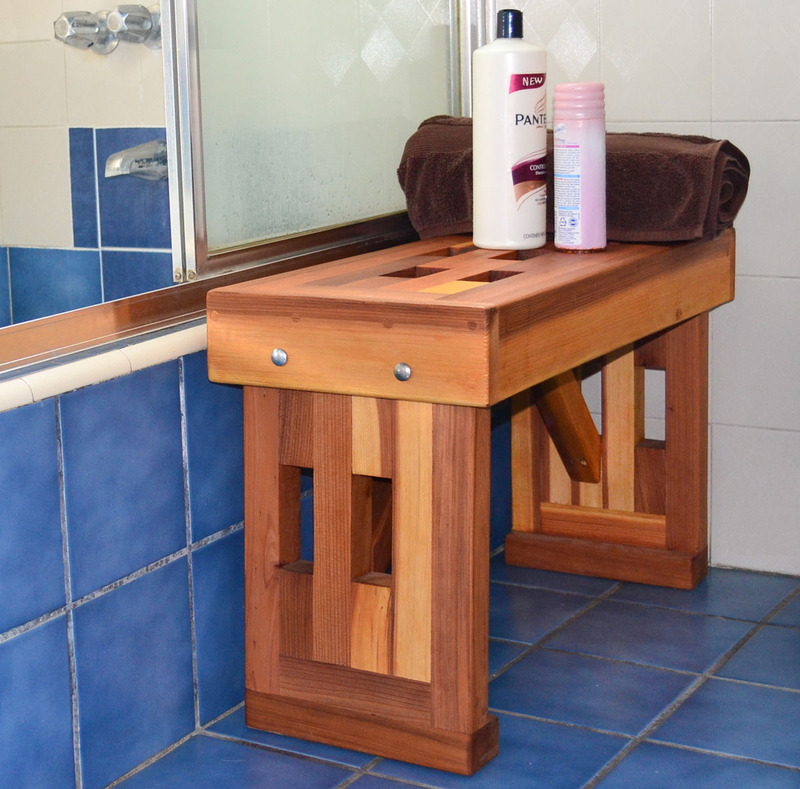 Quality: Constructed with naturally decay resistant Redwood that is ideal for any humid environment. 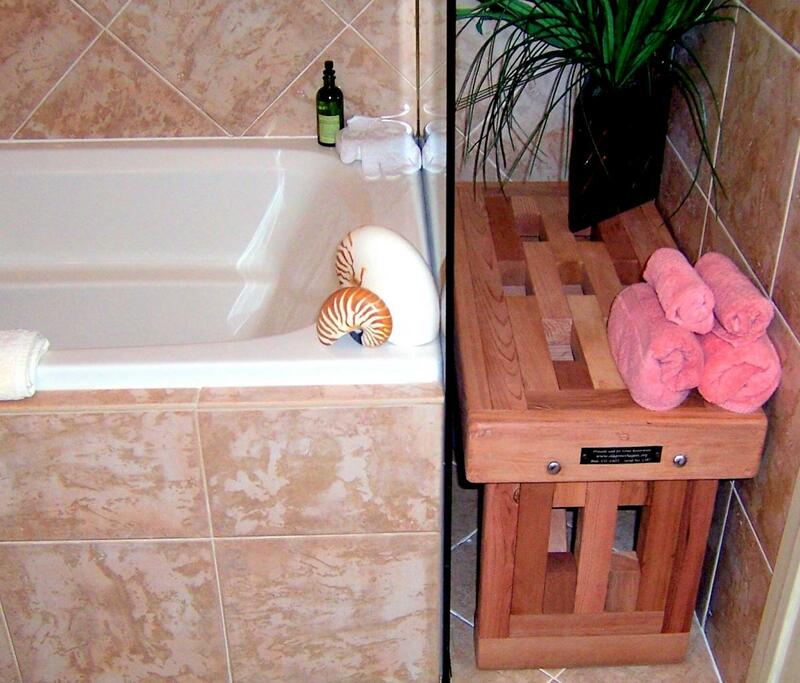 Sizes: Available in 11 sizes from 1 1/2 feet up to 8 feet in length. Rated to a 450 lbs capacity. Can be reinforced at no additional cost if you require a higher weight. 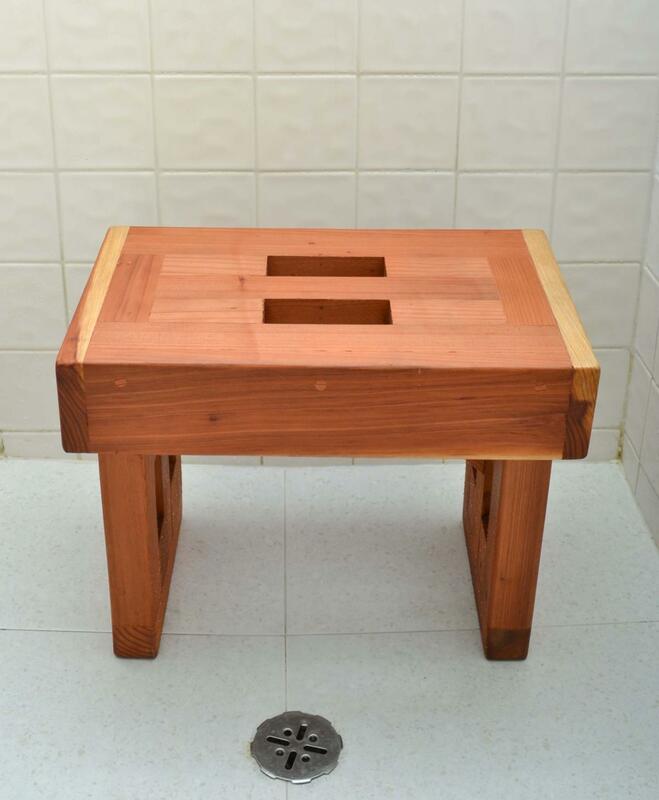 Customize: Choose from different heights, widths, and wood colors. Engraving option is also available under More Options. 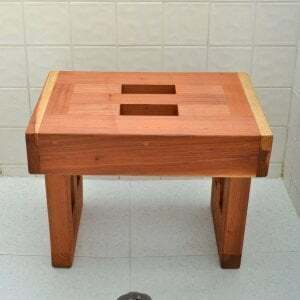 Assembly: Easy assembly. Ships in 5 parts and uses only stainless steel bolts for zero rust or decay issues. 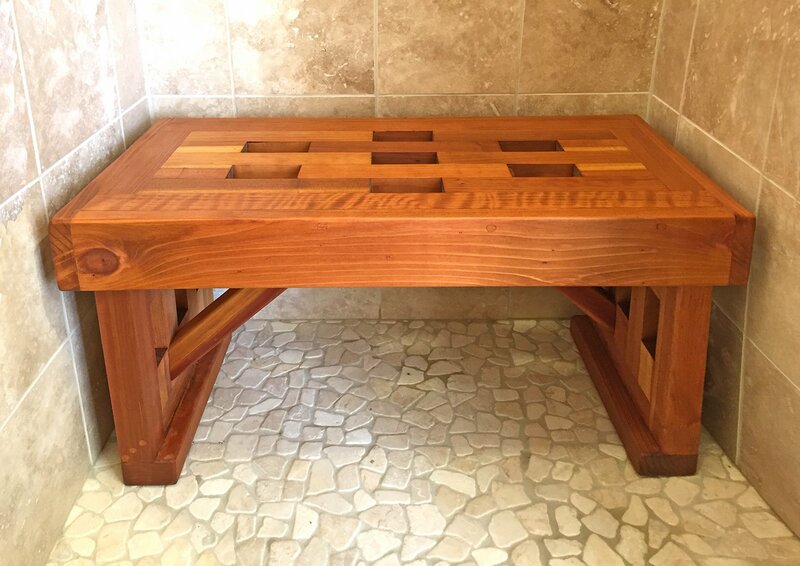 See more wooden benches handcrafted from Redwood. Getting one is easier than ever here on our online store. 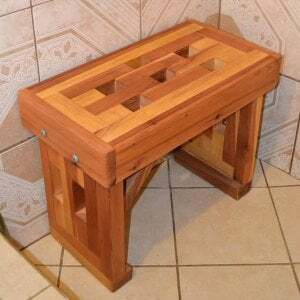 Simply pick the size, style and finish, purchase online, and we’ll get working on building your custom bench right away. We offer shipping to most of the United States (Continental), and offer warrantees, as well as special orders not listed on this site. Simply call or write us to find out more, and how we can help you with your order, or any specific needs that may come up. 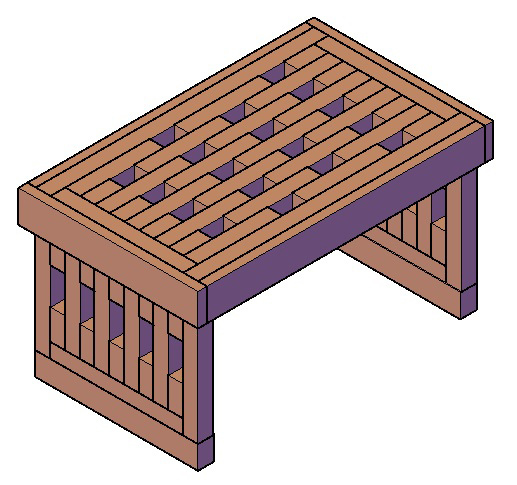 Weight Capacity: Lighthouse benches are overbuilt and re-inforced to easily withstand up to 4 adults sitting at one time. 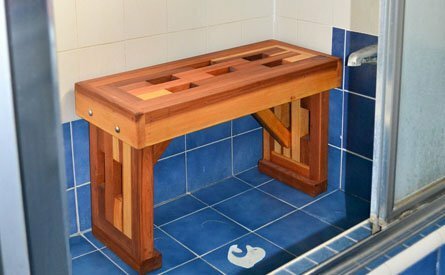 By selecting Advanced Options you can choose the height of your bench if you would like something other than our standard 14”. Heights are offered in 14", 15 ", 17", 18 1/2", 20" and 20". Bench widths can be adjusted as well from the standard 10 3/4 to 12 1/2", 14 1/4", 16" or 17 3/4". As always if you want a special size just let us know! If you need a length, width or height different from the sizes offered, just let us know. 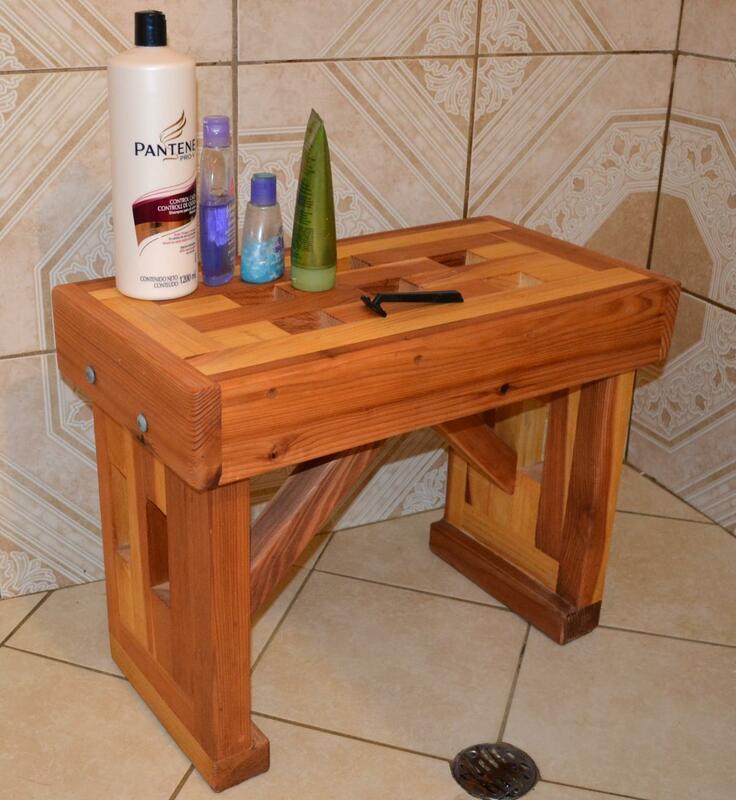 For shower and sauna use, we recommend the Transparent Premium Sealant to keep the vibrant surface colors from fading for many years. 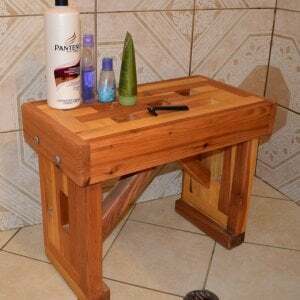 If your bench is for a changing room or general bathroom sitting where it will get wet minimally or not at all, the best finish option is the Wax Finish. For more about your sealant options please go to Care and Finish.